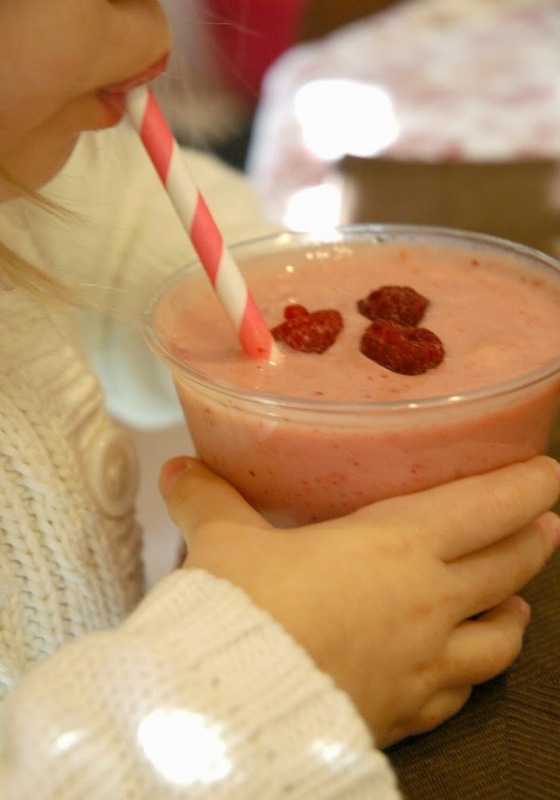 Want a sweet, healthy treat for your kiddos this Valentine's Day? Make something pink, and voila! Instant Valentine's Day! 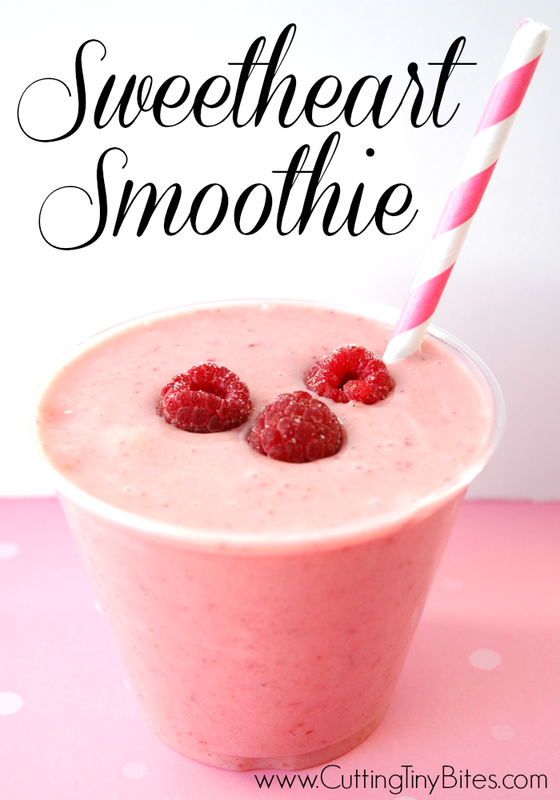 I whipped this up for my littlest sweetheart, Maggie, who LOVES smoothies and LOVES pink. She sure was excited about it! Here's how to make your own. Whir it all up in a blender. Add a little extra fruit for garnish, a stylish straw, and slurp it up! 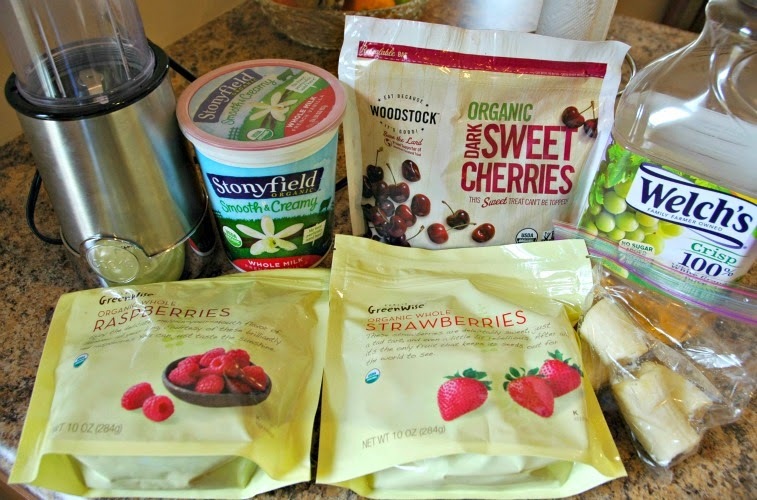 Sweetheart Smoothie- Healthy Valentine's Day snack or treat for kids or grownups!